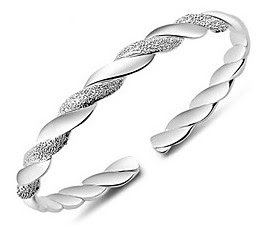 Beautiful Sterling Silver Twisted Cuff Bracelet - Only $2.99 (reg. $29.90) + FREE Shipping! Wow! Check out this beautiful Sterling Silver Twisted Cuff Bracelet at LightInTheBox.com for Only $2.99 (reg. $29.90) + FREE Super Saver Shipping!